Blessed with many competitive advantages, the Guangdong-Hong Kong-Macau Greater Bay Area comprising Hong Kong, Macau plus 9 Guangdong cities is destined to be the world's super tech hub and leading digital economy. To this end, a world-class innovation and technology ecosystem is a necessary condition for success for Hong Kong's cosmopolitan fabrics, inclusiveness, diversity, entrepreneurship and global reach can be put to good use. Dr. Lee George LAM is Chairman of Hong Kong Cyberport Management Company Limited, Non-Executive Chairman - Hong Kong and ASEAN Region and Chief Adviser to Macquarie Infrastructure and Real Assets Asia, a member of the Hong Kong SAR Government's Committee on Innovation, Technology and Re-industrialization, President of Hong Kong-ASEAN Economic Cooperation Foundation, President of the Sustainable Business Network Executive Council of the United Nations Economic and Social Commission for Asia and the Pacific, a Board member of the Pacific Basin Economic Council, and Convenor of the Digital Silk Road Working Group of the Hong Kong Trade Development Council Belt and Road Committee. applications. At the same time, cyber threats are getting sophisticated and advanced. IT professional Dennis Wong heads up a team of hundred consultants to provide solutions consultancy for HKT & CSL1O1O’s corporate customers. 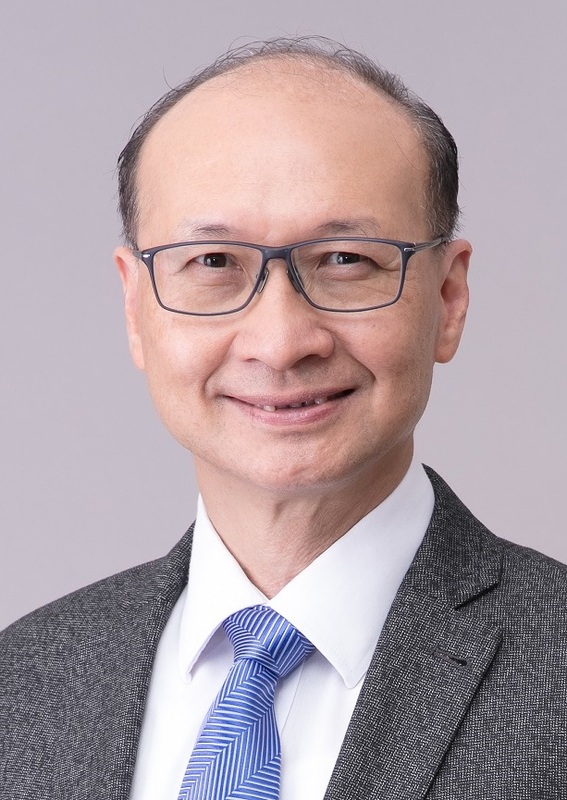 He holds more than 20 years’ experience in IT industry, some 16 of which have involved roles at PCCW-HKT focused on IT&T platform design and solutions consultation for Hong Kong’s public and private sectors. Dennis graduated with first-class honor in Electronic Engineering, and earned a Master’s Degree in Business Management with distinction. 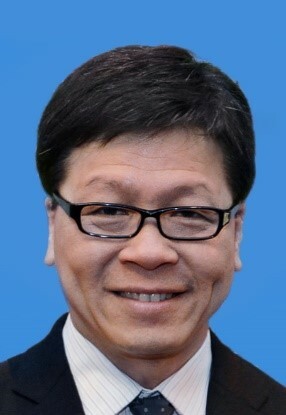 He registered as a Chartered Engineer (CEng) in the Institute of Engineering and Technology (IET) and became a Full Member of the Hong Kong Computer Society (MHKCS). During his career, Dennis has deployed new technology and delivered tangible business results by supporting sales teams to win largescale projects. He often represents HKT as a speaker to discuss technology trends in Hong Kong’s dynamic business environment. There are three stages that fintech will experience: Digitization, networking and intellectualization, besides, “Online” is becoming the development mainstream. In this day and age, Hundsun has lunched “Online strategy”, which contains Move Online ,Live Online and Think Online. Mr.Fan will share his opinion on the industry ,also welcome partners to cooperate with Hundsun and co-promote the development of fintech. Mr. 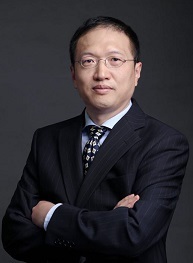 Fan Jingwu has served as the Chief Executive Officer of HUNDSUN. Mr. Fan Jingwu also served as member of Information Technology Standardization Committee of Zhejiang Province, Software Industry Association Expert Committee of Zhejiang Province, Council Member of China Software Industry Association, and member of National Information Security Standardization Technical Committee WG3 Working Group. Mr. Fan Jingwu has long been engaged in financial software research; he has a deep understanding of the whole process of China's securities and futures Transaction and has his own opinion of large-scale distributed, high-performance computing technology. He is familiar with the development trends of business technology and concerned about the application of new technologies in the financial industry. He has led the development of the core system of the securities and futures trading, and presided over a number of national programs such as the National “Nuclear high base ”Project. He has rich experience in standardization development, and participated in a series of national and industry-level standard-settings, such as National Information Security Standard, etc. 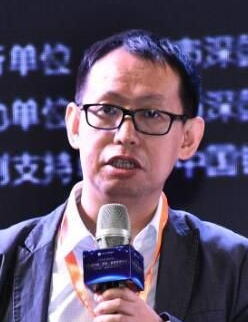 Minghao Shen is the Pearl River Scholar Professor of international trade, as well as the dean of Great Bay Area Institute (Guangdong, Hongkong, Macau) , Guangdong University of Foreign Studies in China. He is also senior researcher of Guangdong Institute for International Strategies and Chairman of Cantonese Merchants Association. He has been to the University of Southern California and California State University Los Angeles for advanced study in 2011. In 2015 he went to the University of Queensland for visiting and study sharing. He has made the keynote speech on the United Nations World Investment Forum, BRICS Academic Forum, Shenzhen Finance fair, Tsinghua GSPBC Global Finance Doctor class, etc. Nowadays, he is the co-chair of LA-Asia International Research Exchange & Faculty Development Conference. His research area includes international business and strategy management, industrial organization and business model, corporate governance and entrepreneurship, business group comparison and evolution. He has taken charge of more than 30 foundation programs at national and provincial level. Now He is chief expert of Key Projects of Philosophy and Social Sciences Research, Ministry of Education which focuses on the patterns and paths of promoting further opening-up of Chinese service sector. Meanwhile, he has published more than 50 papers on top journals, such as Economic Research(PRC), Management World(PRC), and China Economic Quarterly(PRC). How mobile payment changes China and the world? Tim Lee, Founder and CEO of QFPay, was named by the US magazine Fast Company as “The 100 Most Creative Leaders in China” and was named by Fortune China as one of the "Top 40 Under 40" entrepreneurs. He also obtained the Distinguished Alumni Award by the Faculty of Engineering, CUHK in 2017. Established in 2011, QFPay is the frontier of global mobile payment with over 1 million merchant partners and 200 million users in over 300 cities. The Group has established its Hong Kong and UAE offices and continued to expand overseas by riding on the “Belt and Road Initiative”. It is backed by Sequoia Capital, Matrix Partners, Forms Syntron, Vectr Ventures, Share Capital, Zhongwei Capital, etc., receiving investment of over RMB500 millions. Tim has been an icon of a successful post-'80 Hong Kong entrepreneur in the Internet industry in Mainland China by building QFPay from a start-up of 3 to a company of over 300 employees. He has successfully converted many "offline" merchants to e-retailers and helped them to transform in the era of Internet Plus and New Retail which is enabled by AI and Big Data. Sharing the future: How can we own less and travel more? Sharing economy is getting more and more sophisticated by day on both the business model and technology aspects, creating a better allocation of resources and minimize wastage and mismatch. 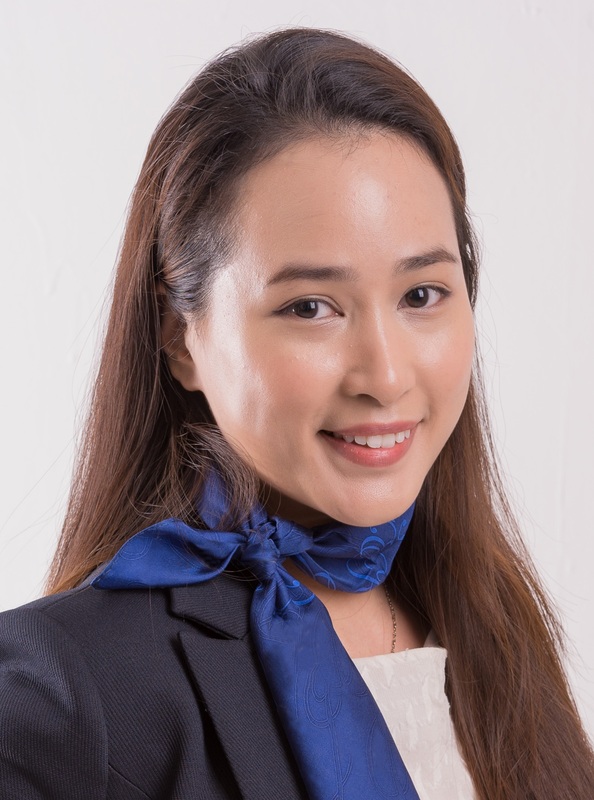 In the talk, Rachel Cheung, co-founder of JOYO - a HK-based travel gears sharing platform, will shed light on how sharing economy develop in the travel industry and how it will evolve into a more convenient model with travellers around the world. JOYO, as the first travel gears focused platform, pushes own less and travel more within the UNWTO framework of sustainable tourism. As the founder of JOYO, a travel equipment (suitcases, action cameras, 360 cameras, wifi devices and more...) sharing platform based in Hong Kong, Rachel built and structured the company with her vision of “Own less. Travel more”. Under Rachel’s leadership, the company manages to maintain global press and event exposure to market the company. Prior to her venture, Rachel has gained her experience in the Public Relations and branding field through various positions, including a role in a Forbes Global 500 company. Rachel holds a bachelor’s degree in Communication Studies from University of California, Los Angeles (UCLA). In this talk , Fioni will explain how YEECHOO leverage technology to understand the preference of the audience and deliver personalized customer experiences including but not limited to, the current problems that the fashion industry is currently facing and how future technologies may help fix the issues. Another highlight will cover all the advantages in the greater bay area to expand the business scalability in near future. helping to increase the company’s sustainability and making it the smartest, most convenient, and environmentally friendly platform. Kenneth has recently appointed as the Sales Director for Eatigo. Previously he also served as the Regional Head of Corporate in Honestbee, where Kenneth works closely with different MNCs and strategic partners in Asia Pacific including Japan, Singapore, Taiwan, Malaysia, Thailand, Indonesia and Philippines. 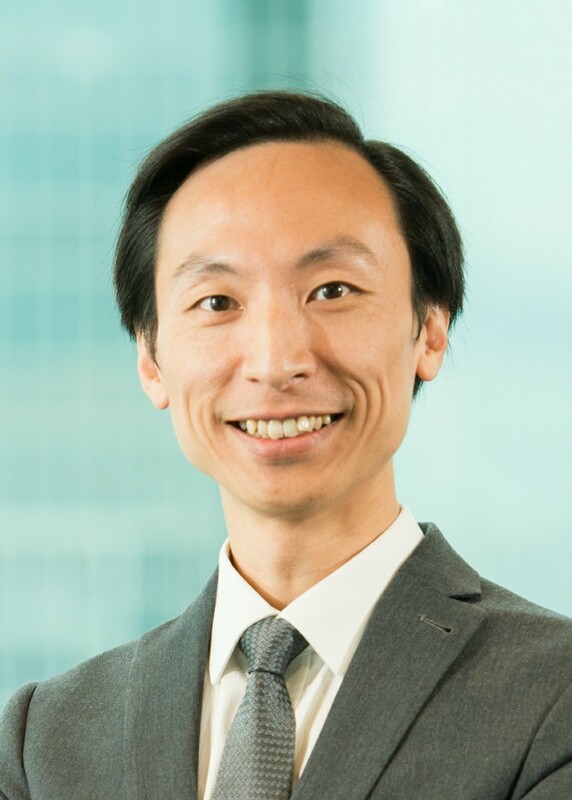 Kenneth is a Chartered Alternative Investment Analyst who came back to Hong Kong after graduating in 2010 to work for a reputable US Asset Management Company. Before joining Honestbee, Kenneth co founded his own beverage manufacturing/distribution company which eventually became the largest in its category and was acquired by a strategic investor in Hong Kong. He currently also runs his own early stage retail and consumer goods focused micro-fund on the side. Kenneth has two Pomeranians and one Chihuahua. He loves to play soccer and enjoy drinking on a Thursday night. Mr Kenneth Chau graduated from the University of Hong Kong in 1994. He is the chairman of the Hong Kong Science and Technology Parks Technology Incubation Network (TIN) and aiming to incubate innovative technology companies which can push the boundaries of the technology industry in Hong Kong. TIN has become the Hong Kong largest start-up organization, included more than 500 companies. He also invited the world largest crowd funding platform Kickstarter to Hong Kong on 30th, September in last year. 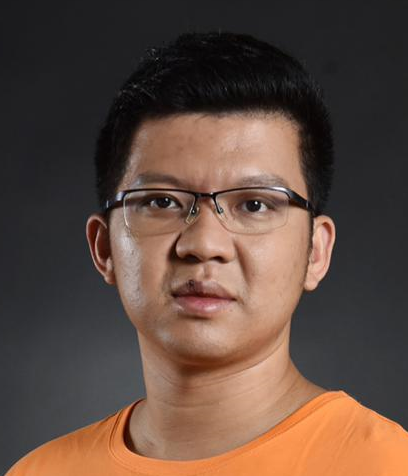 He is appointed as the official administrator of the Kickstarter both in Hong Kong and Singapore areas. This helps the Hong Kong-based technologies companies to bring out crowdfunding events, promote their products to worldwide, create more opportunities in others’ markets. Until now, Kickstarter has brought hundreds of project to life in Hong Kong and Kenneth has become one of the “navigator” of the next generation’s technologies. Kenneth is also a creative writer with full of innocence aside other than a technology innovator. He publishes short stories to Metro Daily on every Tuesday. These stories are mainly about innovative technologies and the relevant news. Since the humorous and lively way that he has used to write these stories, the readers can always leave a knowing smile after they read his stories while understand the latest trend of technology. 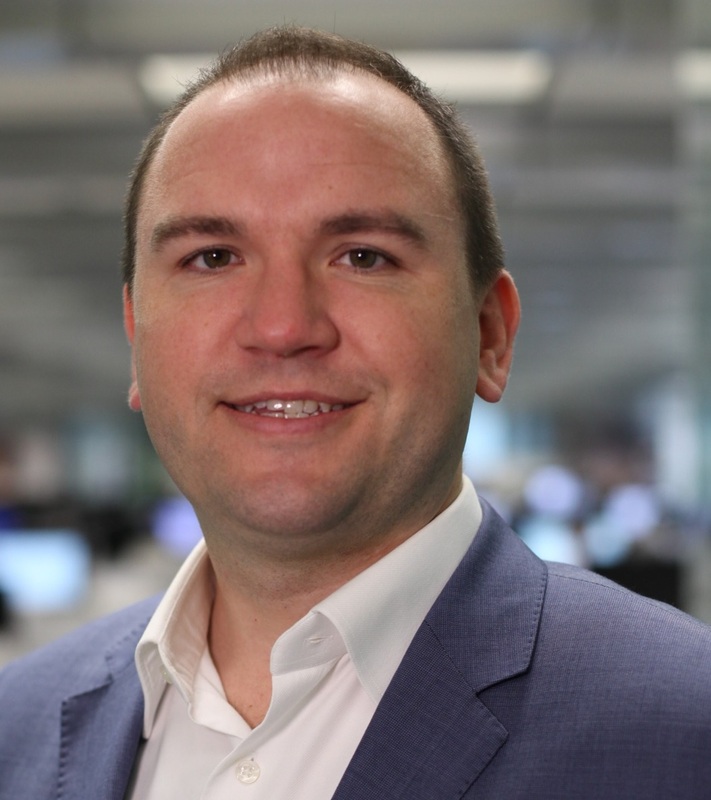 Joshua’s current responsibilities are focused on leading a global team to deliver on the promise of blockchain for HSBC’s global commercial banking business, in particular with regards to trade and trade finance. Working closely with fellow banks, corporates, regulators and others Joshua and his team have been leading several blockchain projects globally including live client transactions, and is now working towards expanding client centric solutions to the production stages with their consortium partners. Joshua has been with HSBC 12 years including a variety of trade finance and commercial banking roles in Canada, US, and Hong Kong. Greater Bay Area (GBA) initiative opens up opportunities for the future economy development through enhancing the co-operations with “9+2” cities in the region. By 2020, the GBA is expected to be the world’s largest economy of its kind. Therefore, a successful talent pipeline is necessary to leverage the favourable condition of every city. 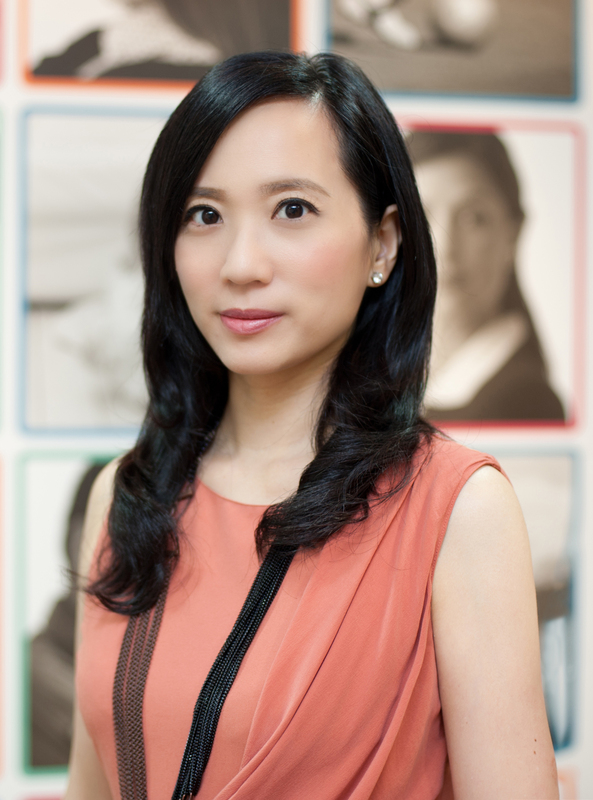 In the speech, Ms Chui will discuss the opportunities and challenges for the development in GBA. And how talent is playing an important role to impact the employment market in the Area. 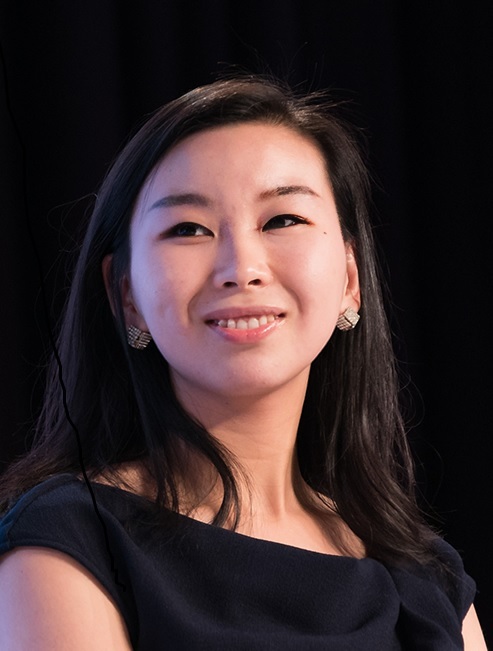 Ms. Lancy Chui is Senior Vice President, Greater China Region for Fortune 500 Company, ManpowerGroup, an innovative workforce solution company listed on the NYSE. In this role, she has been instrumental in building up operations framed around a tri-country initiative geared towards developing common business strategies and synergies for the Greater China Region. Lancy has over 20 years of experience and is a recognized expert in human resources, regularly featured in newspapers, and on television and radio as spokesperson for ManpowerGroup in regard to the ManpowerGroup Employment Outlook Survey and the dynamics of her relevant markets. She is awarded Asian Female Business Leader Award 2017 and in addition, she has led ManpowerGroup Greater China to numerous awards. Lancy also sits on numerous charitable Boards: 'Vice President and Treasurer of Junior Achievement Hong Kong,' 'Executive Committee Member and Chair of the HR Subcommittee of Playright Children's Play Association, 'Chairwoman of Training & Employment Steering Committee of Hong Kong Rehabilitation Power,' and a member of the 'Trade Advisory Committee under Employment Services,' - part of the Christian Action's Training Services Division and a 'Trainer of Certificate Programme in Foundation Skills in Human Resource Management' for the Hong Kong Institute of Human Resource Management (HKIRM). Lancy also regularly contributes written insights to CTHR.com and writes a regular column for JobMarket magazine. Mr. Yu started his career as an assistant engineer at Ampex Ferrotec Limited, Hong Kong, in 1979. In 1982, he was promoted to equipment maintenance and calibration laboratory manager. Later, he was in charge of the computer engineering group and systems engineering group, responsible for the product development programs and the setting up of the CAD center. In 1987, Mr. Yu joined China International Trust and Investment Corporation Hong Kong (Holdings) Limited (CITIC) as the General Manager - Engineering / Research & Development. He was seconded to a joint venture company (a computer manufacturing company) as the Deputy Managing Director and he successfully turned around its business. Next he oversaw the CITIC USA Venture Capital Fund, and he successfully listed two of the start-up companies in NASDAQ and sold four other companies for a profit. 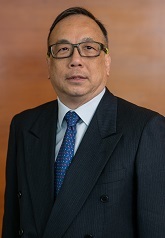 His last appointment with CITIC was as Consultant of the Oil and Gas Development and of the LPG Tank Terminal Port investment projects, in which he played a significant role in project feasibility study and economic analysis, contract negotiation, and the setting up of the corresponding project companies. He joined Versitech Limited as the Deputy Managing Director in February 1998. 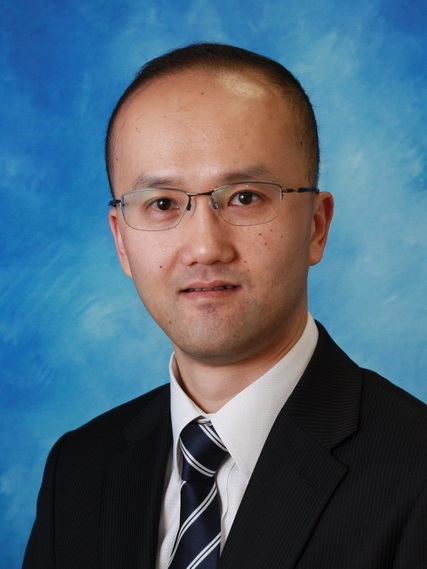 Mr. Yu has a Bachelor of Science and a Master of Science in Electrical Engineering, a Master of Arts in Arbitration and Dispute Resolution, a Post-graduate Certificate in Hong Kong Law and in Chinese Medicine, and a Postgraduate Diploma in Investment Management. Mr. Yu is a Chartered Engineer. He is also a Fellow of the Institution of Electrical Engineers (IEE), the Hong Kong Institution of Engineers (HKIE), the Chartered Institute of Arbitrators (CIArb), and the Hong Kong Institute of Arbitrators (HKIArb). The Chinese Greater Bay Area (GBA) has a big potential to overtake New York and Tokyo and become the biggest Bay Area economy. However, there are a number of challenges including legal, tax, currency, etc. FinTech offers a solution to some of the barrier and hence becomes essential for the future GBA development. Dr. Paul Sin has over 20 years of IT management and consulting experience focusing in financial services sector, currently leading the FinTech practice and Asia Pacific Blockchain Lab in Deloitte. Prior to Deloitte, Paul served as CEO of Fintech, CIO for bank, brokerage firm, and global conglomerate, as well as practice leader for different consulting firms specialized in emerging technologies. Panel Discussion: How to master the cross border opportunities in Greater Bay Area? 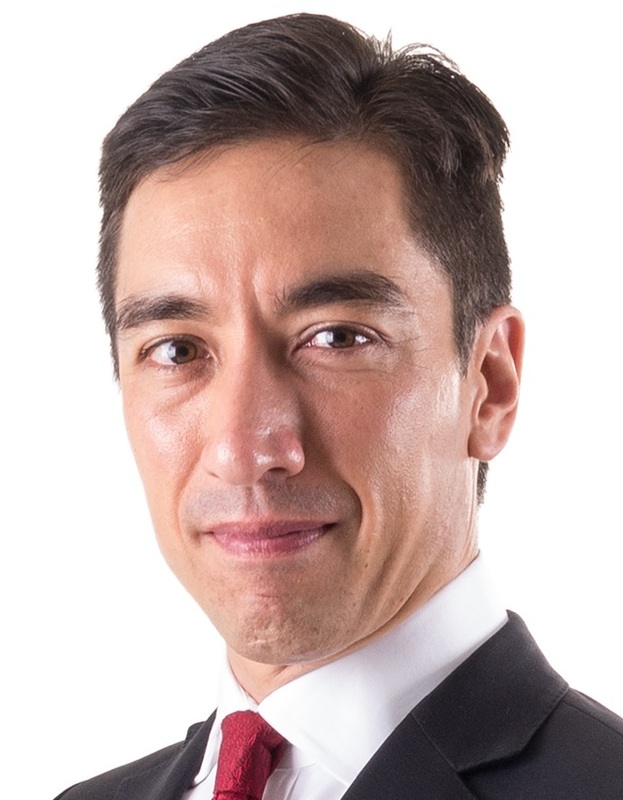 Christophe Lee is the founder of JP Asia Partners which offers advisory services to asset & wealth management and FinTech companies. He is also a Fintech mentor at HK X Foundation and at The Beyond Venture Fund. Mr. Lee has 26 years of financial service industry experience and has worked at Morgan Stanley, Sun Hung Kai Financial, Goldman Sachs and Bankers Trust. Mr. Lee is a graduate of the University of Pennsylvania. 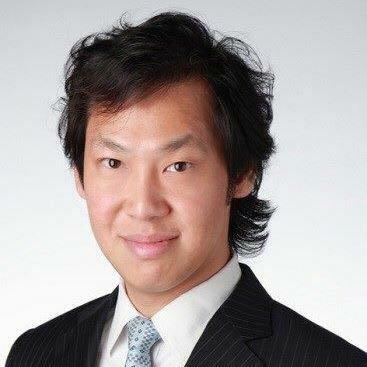 Mr. Lee played an active role is the development of the asset management industry in Hong Kong. 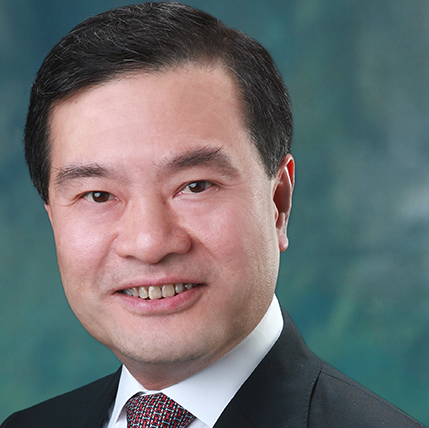 His HKSAR government appointments include the advisory committee of the Securities and Futures Commission (SFC) from 2007 – 2009, and the Financial Services Development Council (FSDC) – New Business Committee since March 2013. He led the working group on FSDC paper titled “The Future of Fintech in Hong Kong” published in May 2017. Mr. Lee chaired AIMA Hong Kong (the global trade association for hedge funds) for 8 years from 2004 to 2012. He was voted by AsianInvestor Magazine as one of the “Top 25 most influential people in Asian hedge funds”. Mr. David Fung, General Manager, Ai Pu Jing Software Technology (HK) Co Ltd.
David currently heads up the Hong Kong operation of the APJ Corporation, focusing on providing the best software development services to large enterprises in Hong Kong by deploying a highly effectively team of IT professionals based largely out of Zhuhai, China. David is also a Director of the Pearl River Delta IT Cooperation and Exchange Center (PRDITCEC), a non-profit making organisation which promotes collaborations within the IT industry in the South China Area. David holds a Master of Science Degree, major in Information Technology, from the University of Hawaii. Prior to joining APJ, David had taken senior IT management positions with the Aluminium Company of America in Australia, and the British American Tobacco Company in the Asia Pacific Region.